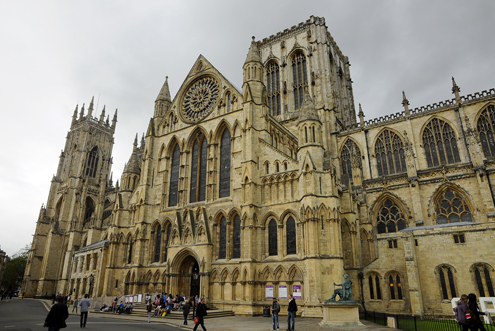 York’s most prominent sight is the impressive York Minster. Built between 1220 and 1480, this massive Gothic cathedral has one of the widest naves in Europe and can seat approximately 2,000 people. York Minster’s interior is a marvel, boasting one striking feature after another. 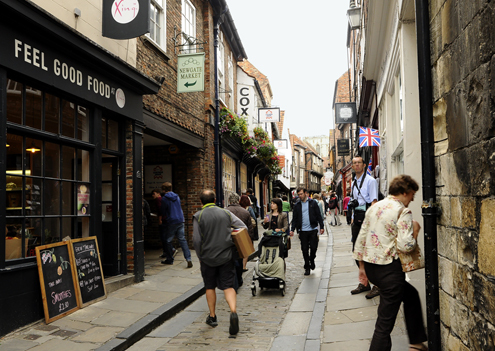 The popular, medieval Shambles was once a street filled with red meat (shambles or shamel is an archaic term for slaughterhouse). Although no butcher shops remain, some stores still have meat-hooks hanging outside. 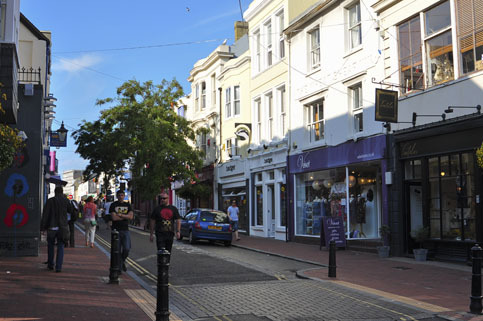 Today, tourist shops, eateries, and retail shops line the old, narrow street. 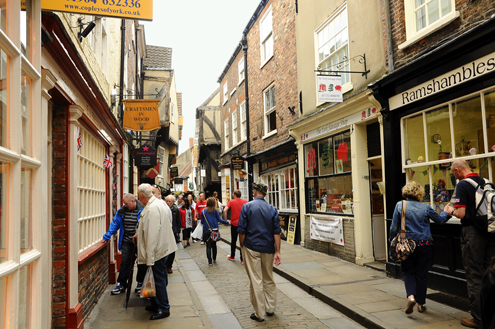 York Castle Museum is one of Britain’s top museums that offers a trip back in time. 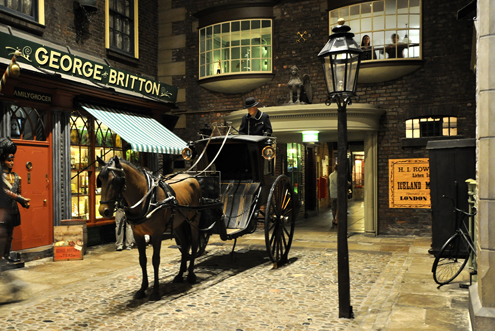 Kirkgate, a re-created Victorian street, inside York Castle Museum. From the Victorian era through to the “swinging 60s,” the re-created rooms and streets offer a glimpse into everyday life from the cleaning, cooking, and washing to birthing and marriage. 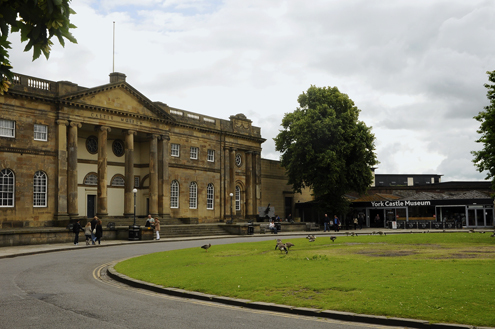 The museum is named after York Castle, which once stood on the same site. 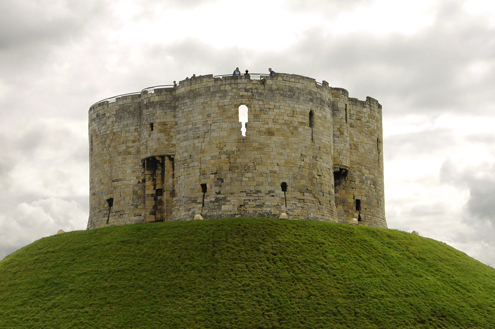 Sitting high on a small hill outside of York Castle Museum, Clifford’s Tower is all that remains of the former York Castle. 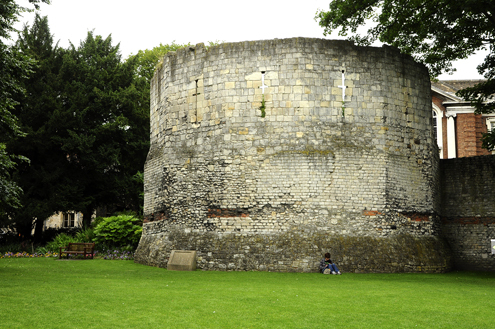 Significant portions of the medieval city walls, that once protected York, remain intact. 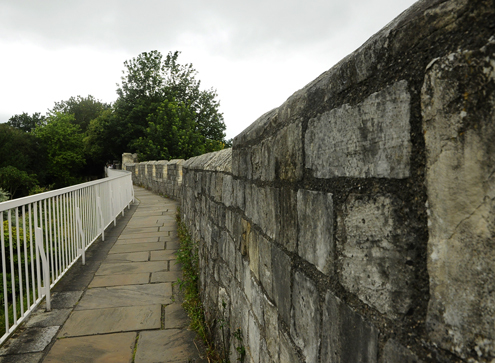 Walking along these walled fortifications offer some wonderful views of the city as well as an interesting perspective. 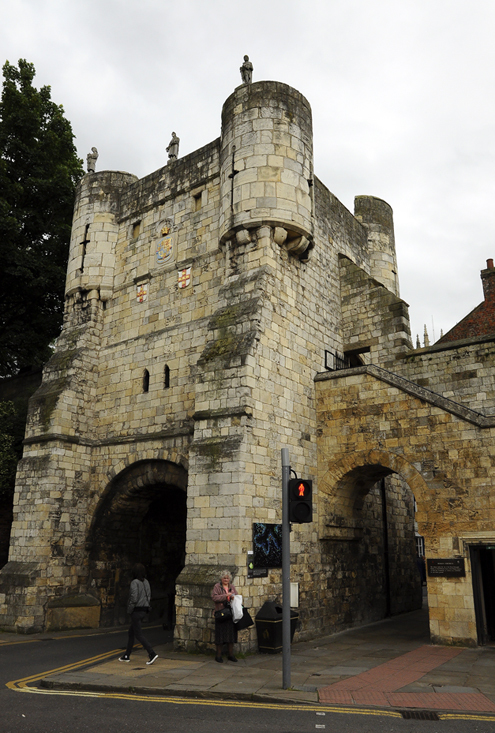 Bootham Bar – One of the main gates in York’s wall. The Multangular Tower, in Museum Gardens, is one of several defensive towers built around the city in the early third century. This ten-sided tower is a fascinating snapshot of history, showing the original, smaller Roman stonework on the bottom and the larger medieval stonework on top. It’s amazing that structures like this are still standing. That’s all from York. 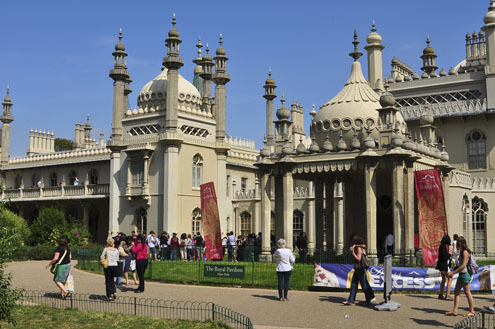 We enjoyed our quick, one-day visit to this historic, English city. Over the weekend, we visited Cambridge, England. 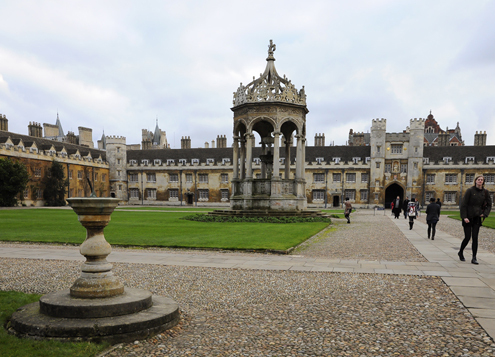 Just 60 miles north of London, Cambridge is famous for its prestigious university that just about dominates the city. 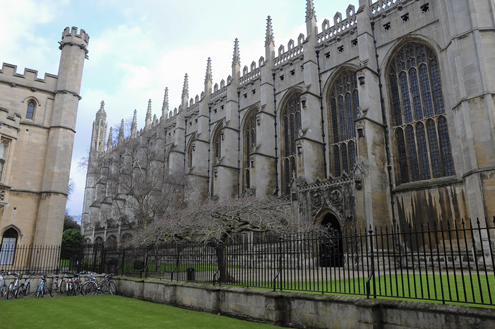 Cambridge University was established in 1209, as early records suggest. Many of the world’s most important scientific discoveries were made by Cambridge alumni, such as the structure of DNA, the splitting of the atom, and the discovery of the electron. It is a fascinating place rich in history, ancient architecture, and eager learners. 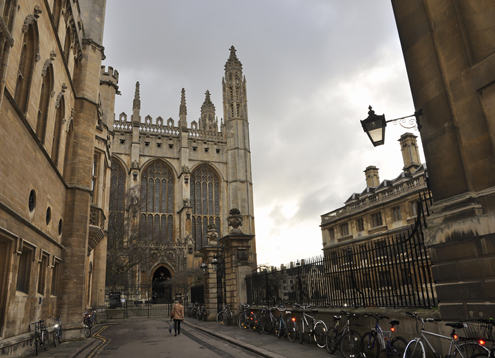 King’s College Chapel seems to be more famous than its college. 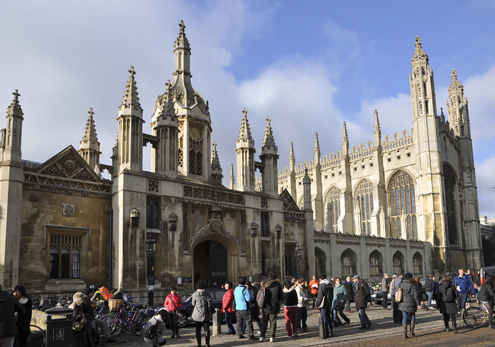 Many feel it is the most impressive building in Cambridge, as it is one of the best examples of late Gothic architecture in England. 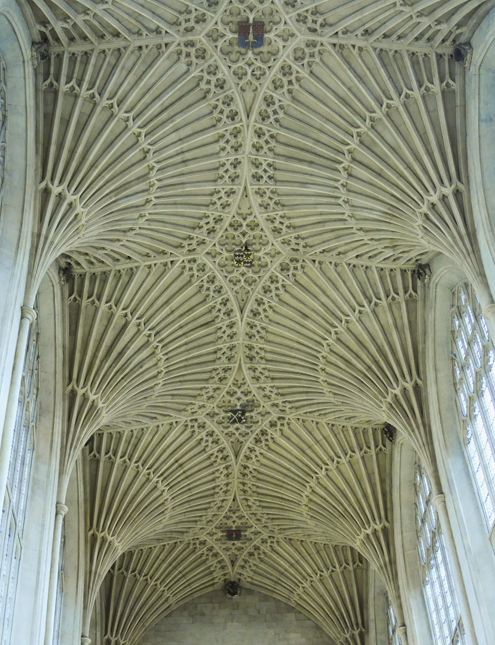 Started by Henry VI and finished by Henry VIII in 1515, its incredible fan vaulted ceiling and stained glass windows are a testament to the fine craftsmanship of the times. We were fortunate enough to be there during evensong when the King’s College Choir filled the extraordinary space with sound. 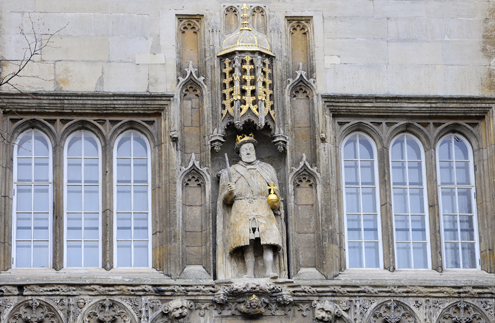 Trinity College’s founder, Henry VIII, stands high above Trinity Gate, as you enter the University’s biggest college. 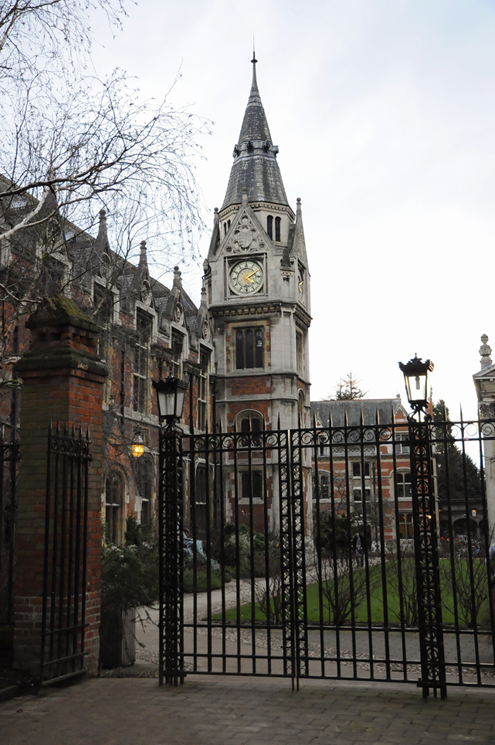 This college was founded in 1546. 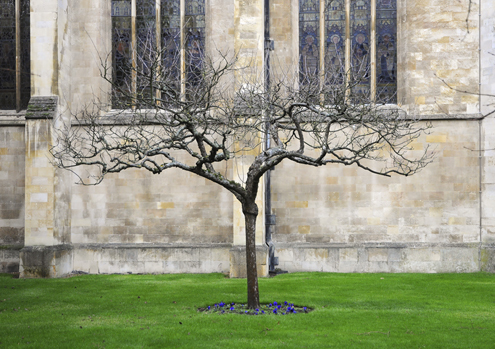 This lone apple tree is reputedly a descendent of the tree that stood in (Cambridge grad) Sir Isaac Newton’s garden, which eventually lead to his theory of gravity. 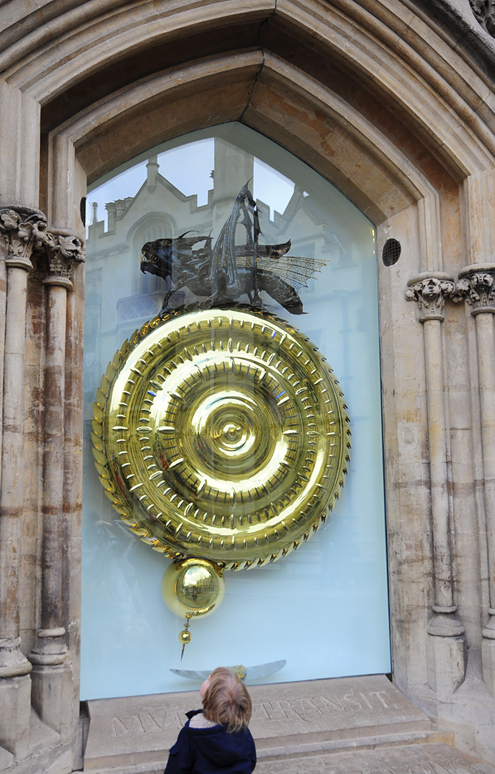 Designed by alumnus John Taylor, the Corpus Clock is a striking, gold-plated, steel timepiece on the northwest corner of Corpus Christi College. 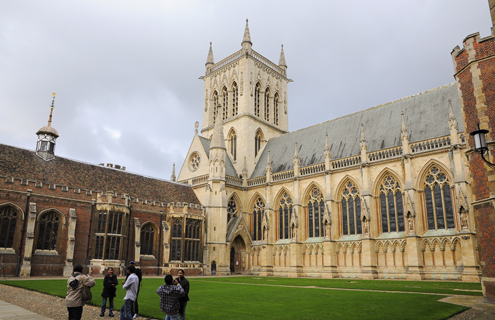 It was unveiled in 2008 by Stephen Hawking, another Cambridge grad. The green, metal grasshopper at the top, called the Chronophage, appears to not only “eat time” but also grab the attention of passersby. 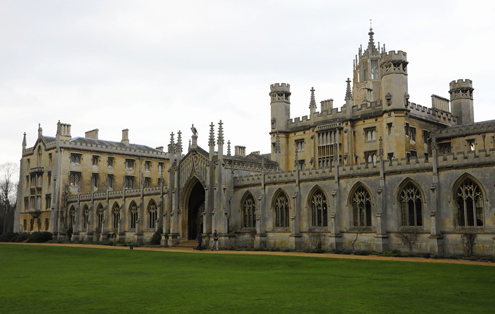 St. John’s College, established in 1511, is said to be one of the University’s most photogenic colleges. 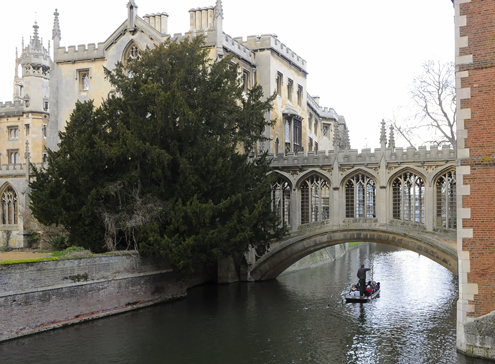 The covered Bridge of Sighs crosses the River Cam and links two quadrangles at St. John’s. 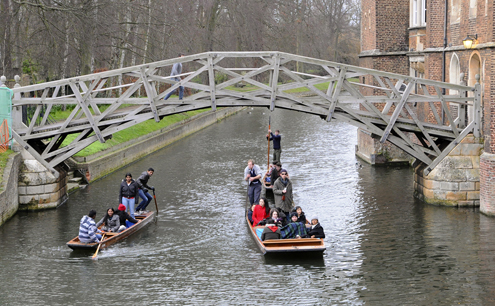 The simply named Wooden Bridge joins the two halves of Queen’s College. It is an interesting and curious structure that comes with popular tales about its origin—one claims it was built by Isaac Newton, another claims it was built without nuts or bolts. What we do know, however, is that it was built in 1749 by James Essex (Newton died in 1727) and the popular name “Mathematical Bridge” is due to the mathematical arrangement of the wood (which I will not try to describe here). 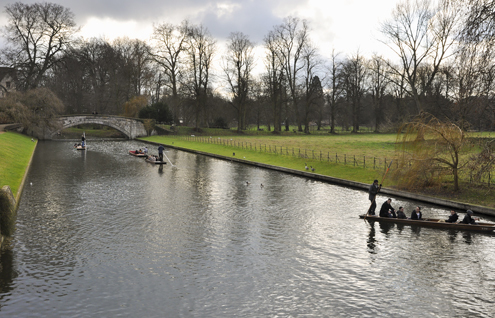 If you’re wondering what these folks are doing, well, they are “Punting on the Cam.” You can hire one of the long, narrow, flat-bottom punts and propel yourself, using a long pole, down the River Cam. I’m sure it’s a great way to see the city, once you get the hang of it. We enjoyed our visit to this historic university town. It was an “educational” experience. 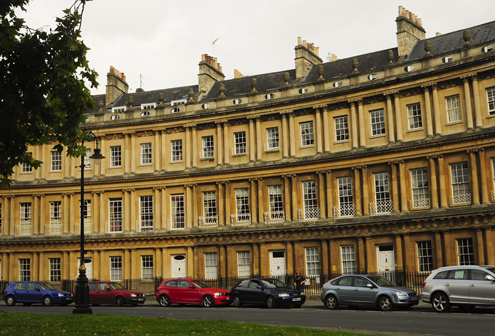 The museum, built around the bath complex, is fascinating. 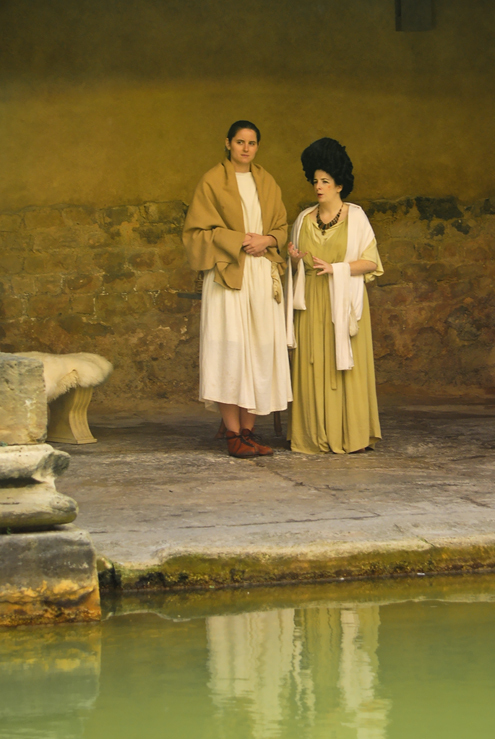 The in-depth exhibits and audio-guide do a remarkable job at recreating the scene. The brilliance of ancient Roman engineering, plumbing, and craftsmanship are evident throughout the tour. Their ingenuity was simply remarkable. 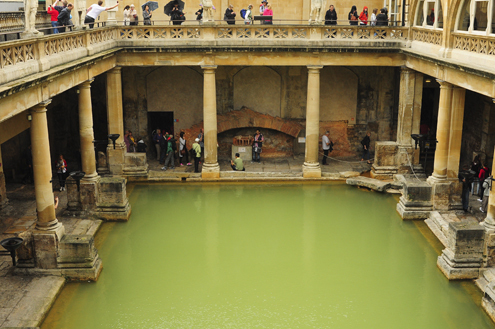 The Great Bath (photo above) is one of the main highlights of the complex. It was once a covered hall most likely filled with merry Romans. 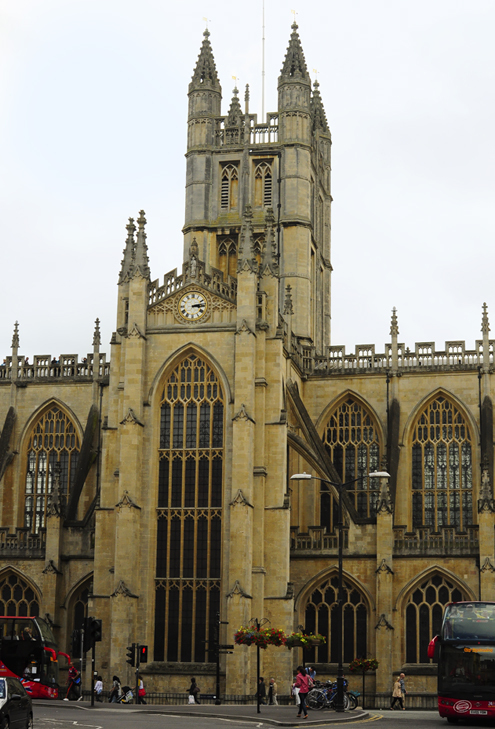 Down the street from the Roman Baths is the magnificent Bath Abbey—one of the last great medieval churches built in England. A place of worship has been on this site since Anglo-Saxon times, but the current Abbey was founded in 1499. 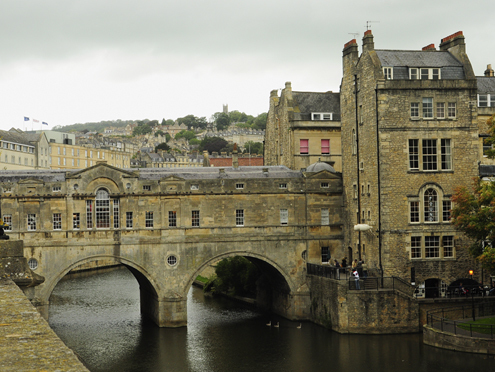 The shop-lined, picturesque Pulteney Bridge, completed in the early 1770s, crosses the River Avon. A bit north of town is the famous Circus. This circular housing complex, completed in 1768, is divided into three separate segments of equal length. The curved facade is highly detailed with Doric, Ionic and Corinthian styles, along with a decorated frieze above the first floor. 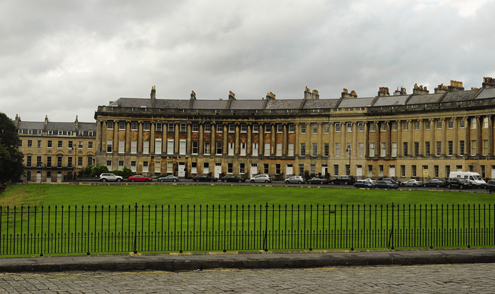 Down the street from the Circus is the Royal Crescent—Bath’s most prestigious address. Built between 1767 and 1775, this semicircular, elegant block of houses overlooks a private lawn and Royal Victoria Park. 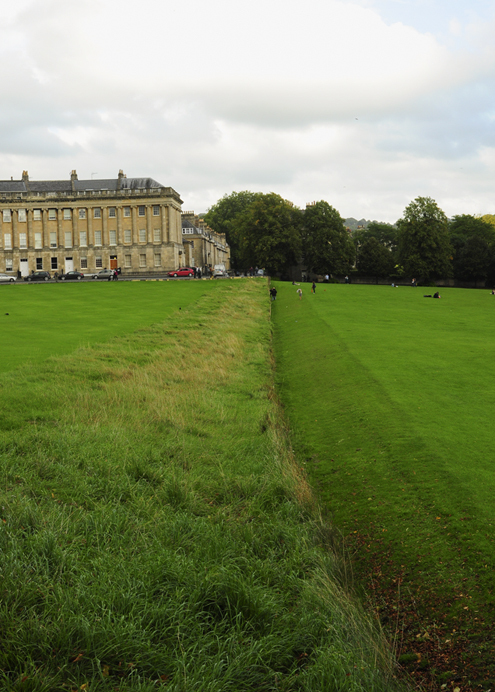 This ha ha trench once acted as a barrier (sunken fence) to keep sheep away from the private lawn of the Royal Crescent, as well as those of lower social status…very funny. 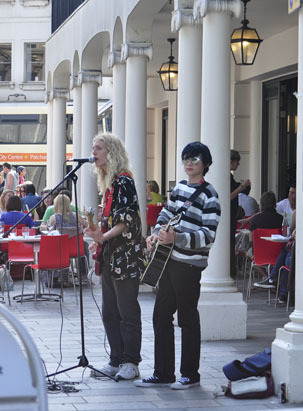 Our day in Bath was a memorable one. It was extra special to experience this beautiful, English city with my parents. We hope you both enjoyed it as much as we did. 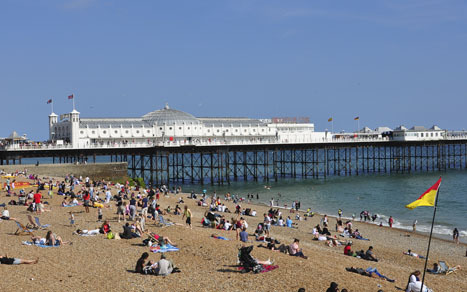 With the return of summer weather this past weekend, Kevin and I visited Brighton & Hove to experience an English coastal town and to enjoy the sun. 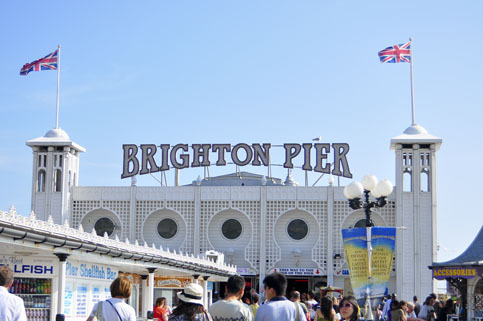 …And Brighton Pier definitely serves up the kitsch—arcades, amusement park rides and loads of people. 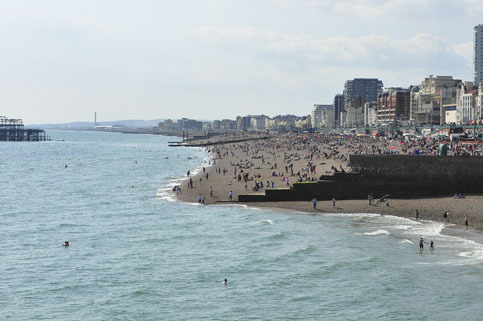 Although the coastline is lovely, Brighton Beach is one of the rockiest we’ve ever seen. It will toughen up your pretty feet! Ouch! 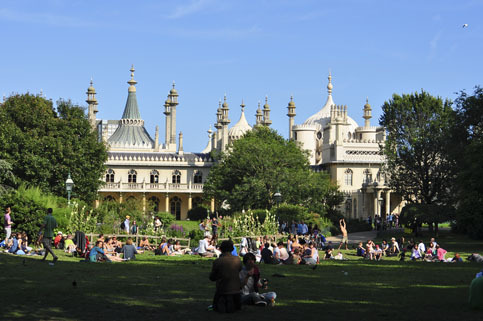 The Pavilion was sold to the town of Brighton by Queen Victoria in 1850 and it soon became a tourist attraction. The beautifully manicured grounds are widely used by townspeople and visitors alike. We ended the day on a bench enjoying the view above as well as (the much-needed) sun. It was a great day.